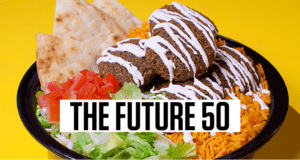 Your Pie was listed as a Future 50 concept by Restaurant Business Online. The concepts topping the list were described as, “simple, easy-to-understand food—pizza, tacos—has dominated the list of fastest-growing small concepts. This year, new cuisines are rising to the top, signaling increasing acceptance of different ingredients, flavors and formats.” by Restaurant Business. *Data assumed by Technomic’s Digital Resource Library.